With Amazon being the biggest company in the world right now and e-commerce seemingly taking over the way we shop, even car makers and bike manufacturers have to adapt. 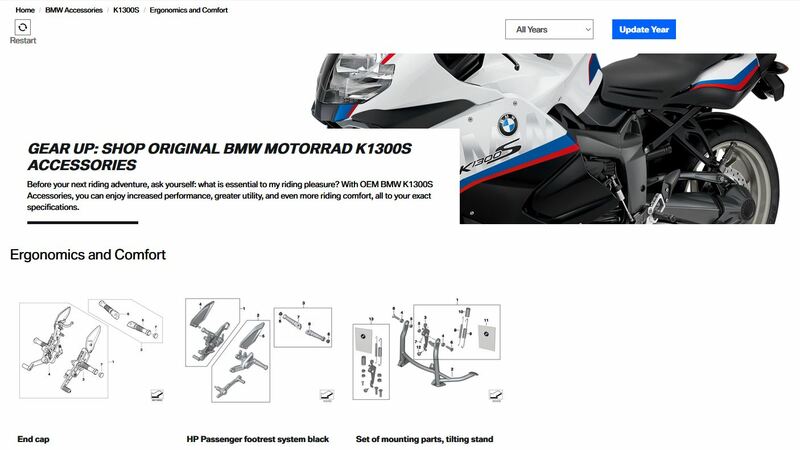 BMW Motorrad announced a new e-commerce website this week where you can find all your preferred parts, accessories and riding gear for your BMW motorcycle. It’s easy to use and offers access to a wide range of parts, accessories, apparel, product information, fitment, images and even videos. Located at www.shopbmwmotorcycles.com, the new website can be accessed from desktop or mobile devices and there’s even going to be an app launched with similar functionalities in the future. Features of the site include Easy-to-navigate shopping categories (by model, accessories, parts, gear), a dealer locator, product page fitment confirmation (allowing customers to confirm or change vehicle fitments throughout the shopping process), in-page assembly viewer with product assembly notes, diagrams and images and search options by part number, keyword or VIN for compatible parts. The orders are processed and fulfilled through BMW’s network of authorized dealers by means of geolocation or customer preference. Unfortunately, at the moment, not all BMW Motorrad dealers are available on this new platform but the number is steadily increasing to cover most of the US territory in the near future.